In Japan, manga refers to comics, animation and cartooning in all forms, and for all ages and both genders. It is appreciated by all demographics in Japan, and it is not limited to readers of any specific age, gender, ethnic, or racial group, as it spans genres as diverse as business, comedy, cooking, school drama, economy, fantasy, futuristic, history, horror, life, music, politics, romance, and sports. Other countries do not have this equivalent type of comics that spans all these genres. Japanese manga and anime reflect Japanese culture, which makes manga and anime very different from comics from Western countries. The word manga (漫画) literally means drawing picture(s) in a rambling, or unplanned way. It originated from Hokusai‘s Hokusai Manga (Hokusai’s Sketches) in 1814, as reading for all generations. Since then, manga has always been entertaining material appreciated by all demographics. For example, it is not out of the ordinary to see an adult in business attire on a train, which is a regular method of commuting in Japan, reading a book of manga. Among English speakers, the word manga usually suggests Japanese comics only. The word anime is an abbreviation of animēshon (animation). Anime generally indicates all Japanese animated productions. A manga series that becomes popular often makes it into an anime (on TV), or is further cinematized as an anime film. 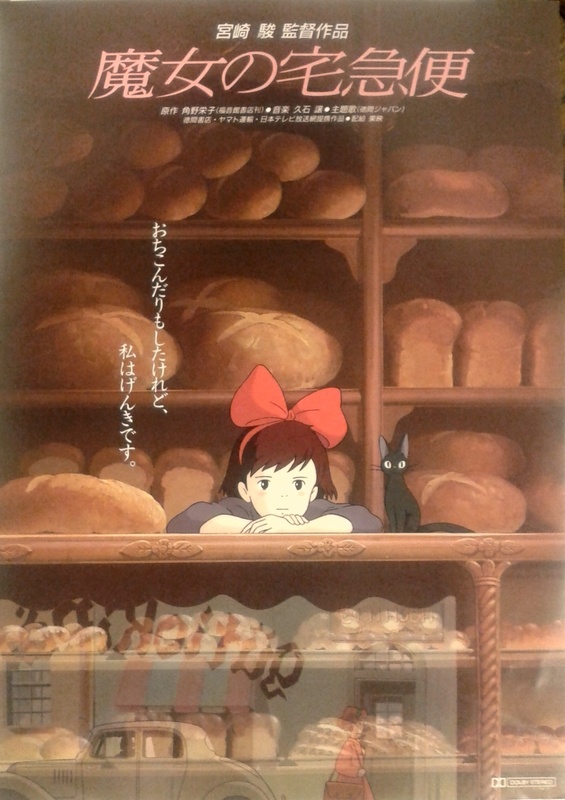 The Japanese cinema channel’s special anime program flier. 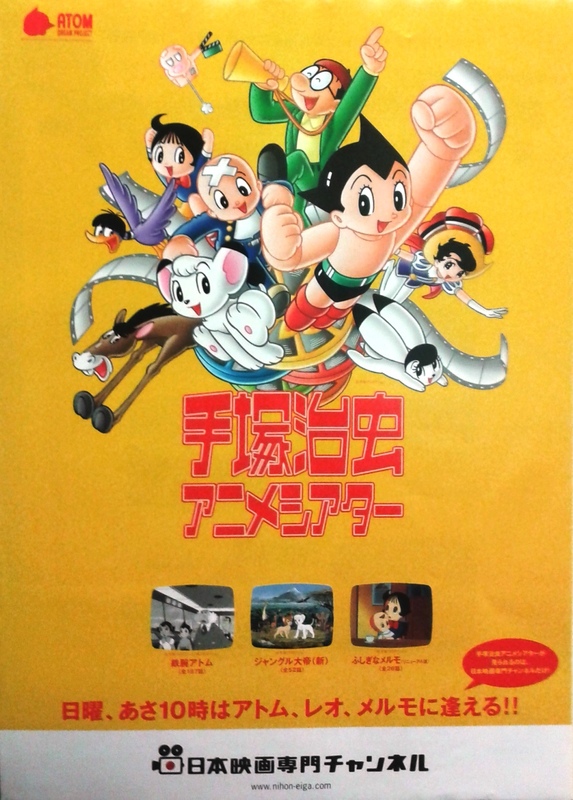 Osamu Tezuka Anime Theater, brought by Nihon Eiga Broadcasting (2003). Overseas, manga and anime by Japanese creators, with incomparable multi-dimensional epic stories and unique characters soon appealed to different cultures and countries. 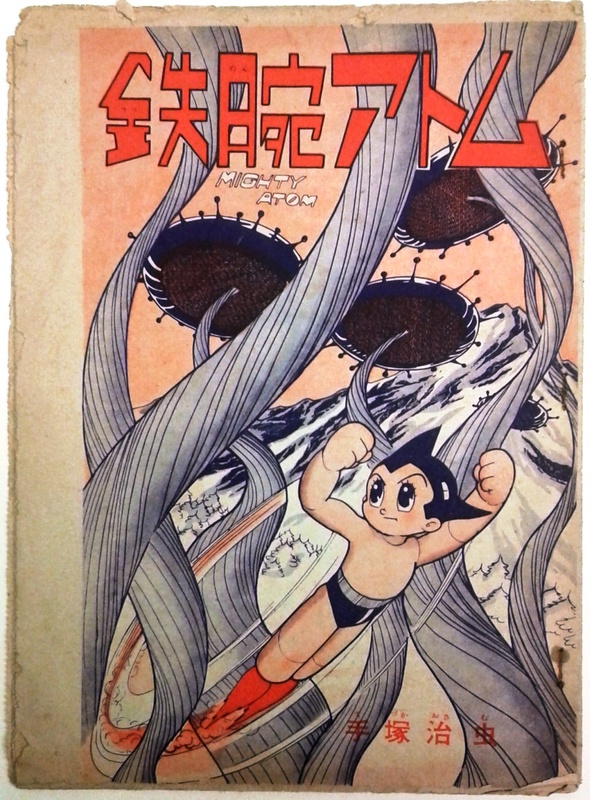 In the United States, Tetsuwan Atomu (Astro Boy/Mighty Atom) by Osamu Tezuka was originally published as a manga. In 1963, it was adapted as the first Japanese TV anime series to come to the U.S., which made the genre of anime fully known to the world shortly after. The presence of manga has been highly recognized since its gradual introduction in the 1970s. 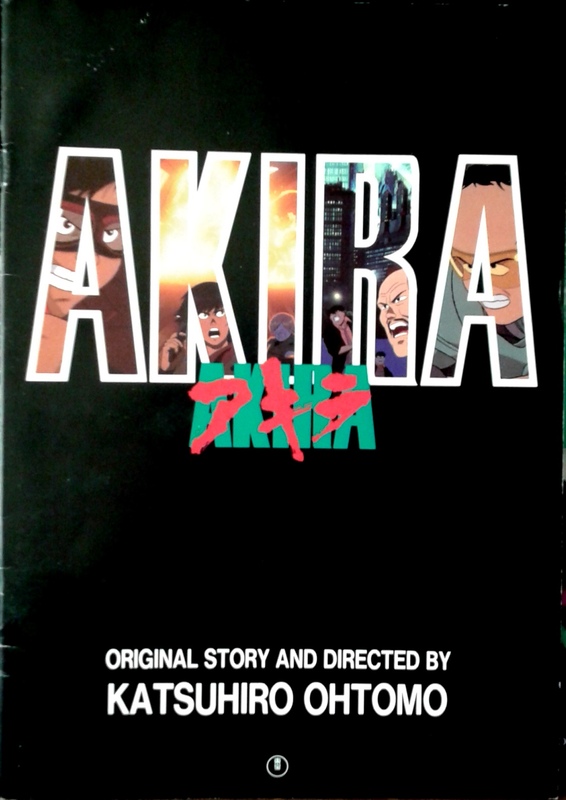 Since 1980, Japanese anime film adaptations like AKIRA and Dragon Ball were marketed in the U.S. and they exploded in popularity shortly after. The manga series written by Hayao Miyazaki from Studio Ghibli, Nausicaä of the Valley of the Wind, has been internationally published, with over 12 million copies translated into 18 languages, and made into a film adaptation. And the boom has continued to the present, led by phenomenal pieces like Sailor Moon, Pokemon, and Naruto, among many others. Japanese anime film program. Katsuhiro Ohtomo’s AKIRA (1988). 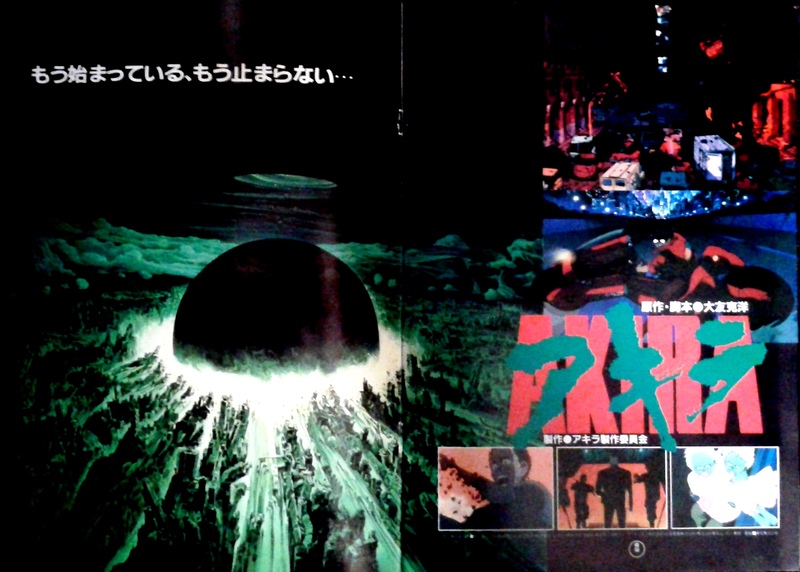 Japanese anime film program, AKIRA (1988), page spread. 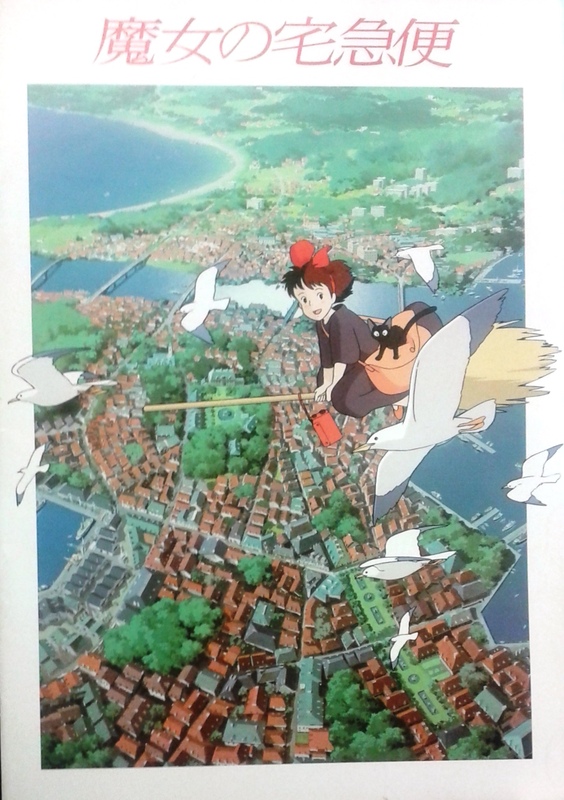 One of the masterpieces in Japanese anime film history. Japanese anime film program. 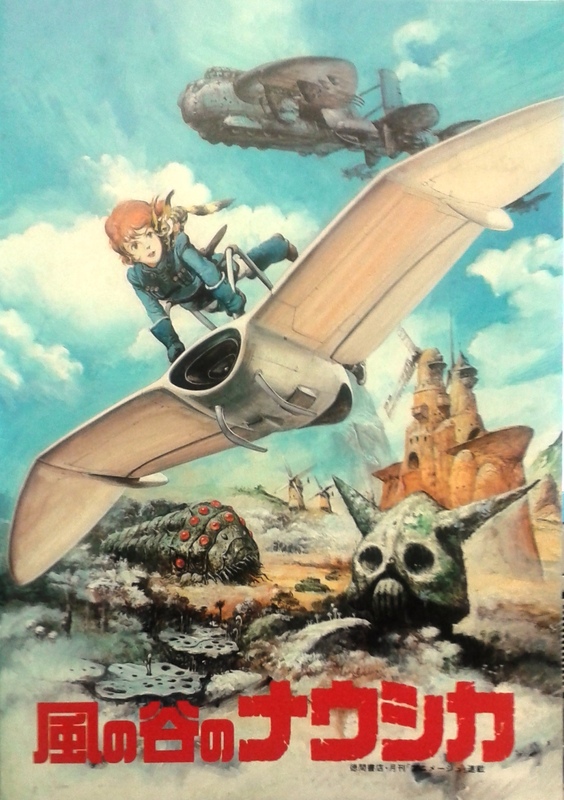 Nausicaä of the Valley of the Wind (1984), directed by Hayao Miyazaki. Japanese anime film program. Mobile Suit Gundam/Kido senshi gandamu (1981). Directed by Yoshiyuki Tomino. Let’s briefly see how these Japanese creations have been received outside of Japan. In 2013, the market size estimate for the North American manga market was $70 million, out of $870 million in total for the comics and graphic novel market (ICv2, 2014). While manga and anime are fairly well-known in the United States, they are also a widely-known pop culture phenomenon in Europe. In 2012, manga sales in Europe and the Middle East reached $250 million (CNN). Specifically, France has a huge population that appreciate Japanese manga, a popularity that began with anime. Anime first gained in popularity on Récré A, a public TV channel which was available from 1978 to 1988, and then Club Dorothée, which was available from 1987 to 1997. The more it gained popularity, the more criticisms arose, including that from a French politician, Marie-Ségolène Royal, who condemned anime’s bad influence on French society, using the cause for her political campaign. As a result, anime was regulated in the 1990s. So why did manga catch the attention of French audiences to such a degree? For one reason: the vibrant and unique contents of Japanese manga fit into their cultural and societal needs. In France, Franco-Belgian comics are known as bandes dessinées (BD/bd, literally, “drawn strips”), and it is recognized as le neuvième art (the ninth art). Each page of BD could be exhibited as a work of art; they are very different from manga, which have a wide variety of styles, a much more frequent publication cycle, and are for a broader audience. Today, the category of Japanese manga is distinguished and recognized the world over as a genre, just like BD, graphic novels and American comic books. Nowadays, well over 1,500 manga books, which is “the same market size as BD” (Potet, F., 2015), are published in France, and this mature French manga market has started opening the door to a new era. The naturalization of manga has begun with made-in-France mangaka (literally, “manga creators”) emerging, like Reno Lemaire, in addition to the rise of independent French manga publishers who make a direct order to Japanese mangaka for made-in-France manga. It is said that when creating a manga book from scratch, it costs over 30,000 euro, which is 10 times the cost of publishing translated copies (Potet, F., 2015). Following this industrial trend, a French independent manga publisher, Ki-oon, made the pioneering move of contracting with a Japanese manga artist, Tetsuya Tsutsui, and sold his work Prophesy‘s copyright to 10 countries, including Japan. Thus, Japanese manga and anime culture has gone out into the world, and it is no longer only Japan’s. The annual Japan Expo in Paris, which exhibits manga and anime, was acknowledged as the world’s biggest convention on Japanese popular culture by the Japanese government, and in 2011, the Japanese Ministry of Foreign Affairs, the Ministry of Economy, Trade and Industry, the Ministry of Agriculture, Forestry and Fisheries, and the Japanese Tourism Agency collaboratively exhibited in the expo. The attendance at the expo has continued to increase, and hit over 247,000 in 2015. 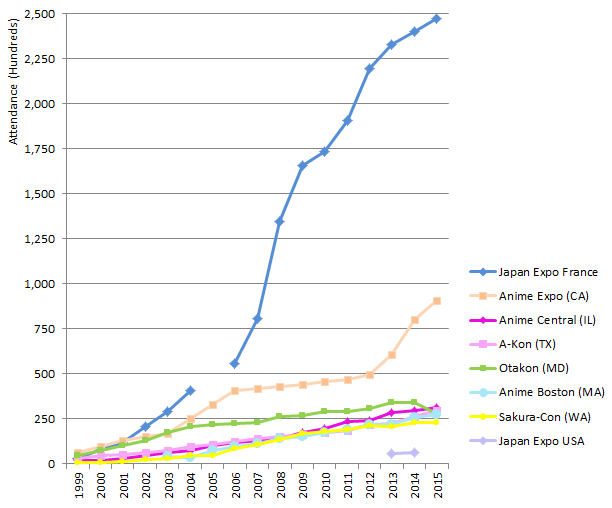 In the United States, manga and anime have a huge presence in some anime-specialized events, like Anime Expo in Los Angeles, Anime Central in Rosemont (Illinois) and A-Kon in Dallas, in addition to popular culture conventions, including New York Comic-Con, which merged with the former New York Anime Festival. As we have mentioned, Japanese manga and anime are unique in that they cover a wide variety of genres rooted in the Japanese culture and its connotations, in addition to their particular methods of expression, which is seldom seen overseas. This peculiar and phenomenal culture generated a new term to describe performance art representing specific anime or manga characters: cosplay and, for enthusiastic anime and manga fans: otaku. Most of the popular manga and anime series have been licensed, and anime films have been appreciated all over the world. 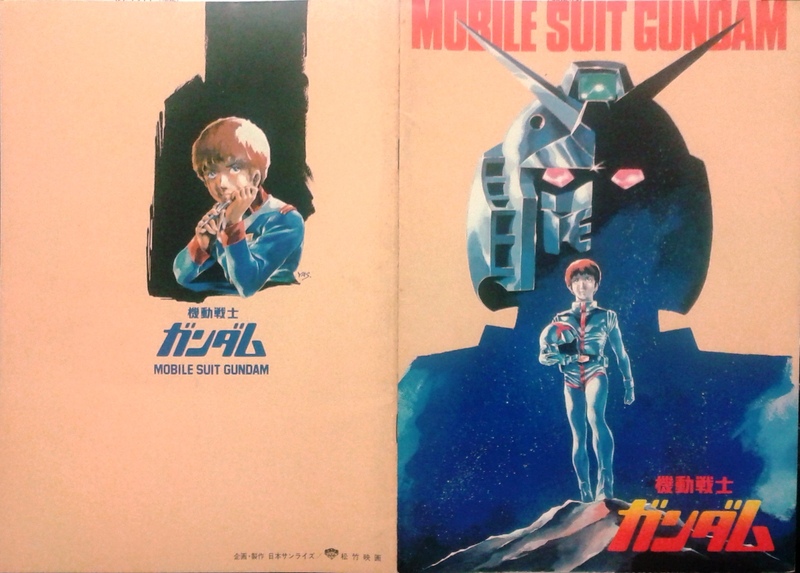 As you can see, this wonderful Japanese pop culture has a presence in the Makino Collection as well. The Asahi Shimbun. (2015). Anime news: Japanese manga sales in North America continue impressive turnaround. Davidson, D. (2012). Manga grows in the heart of Europe. CNN: Geek Out! ICv2. (2014). Highlights from the ‘The ICv2 White Paper’ at the ICv2 Conference. Japan External Trade Organization. (2013). European ‘contents market’ with a central focus on France: Manga. Japan Tourism Agency. (2011). Press release: Japan Expo 2011. The Ministry of Land, Infrastructure, Transport and Tourism, Policy Bureau. (n.d.). The status report of anime and manga in Japan. Potet, F. (2015). M Le magazine du Monde. Clements, J. (2013). Anime: A history. London, UK: British Film Institute. Mechademia. (2014). 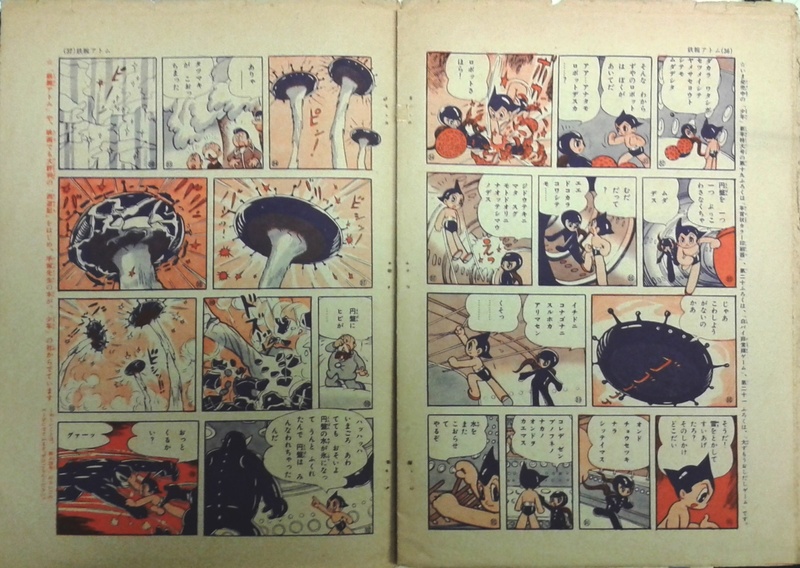 Mechademia 8: Tezuka’s Manga Life. Minneapolis, MN: University of Minnesota Press. Napier, S. J. (2001). Anime: from Akira to Princess Mononoke, experiencing contemporary Japanese animation. New York, NY: Palgrave Macmillan. Steinberg, M. (2012). Anime’s media mix : franchising toys and characters in Japan. Minneapolis, MN: University of Minnesota Press.